How Do I Know if I Have a Synovitis? 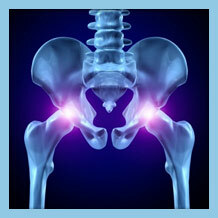 When the thin smooth lining of the hip is inflamed this pain may be disabling. It usually arises as a sudden onset. Abnormal rubbing of the joint and further swelling will irritate the hip sometimes down to the knee. The patient may develop a limp to avoid pain or stop walking altogether. Adults are more susceptible to synovitis if they have arthritis, rheumatoid arthritis or gout. The range of motion in the hip will be painful in all directions and rest usual gains some relief. Do you have any of these symptoms and think you may be suffering from synovitis? We have a quick and easy tool to help gather some information from you to help us determine what your problem is and get you on the road to recovery. A mild case of synovitis may warrant a “wait and see” approach that involves rest and medication. If the condition is not creating remarkable relief within 2-3 days, a synovectomy (removal of the inflamed tissue) can be performed to significantly decrease the associated pain. OLSS provides a wide range of treatment options and because our doctors are the most experienced and best trained in treating synovitis, we are able to perform many advanced treatments other practices may not be able to offer. The real question is: What treatment is best if you think you have synovitis? Use our Treatment Check tool to quickly get started in finding the right treatment for you.